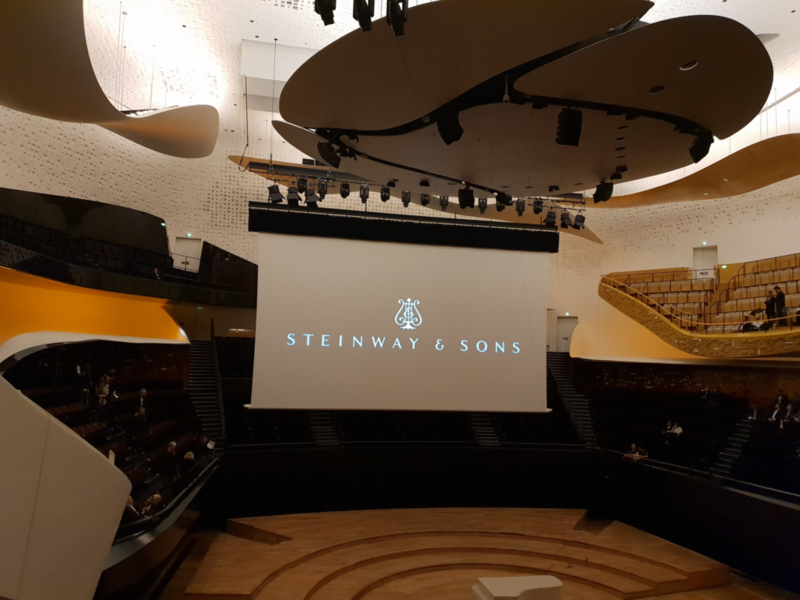 The instrument created by Steinway & Sons, called "Lang Lang Black Diamond", was unveiled at a private concert by Chinese virtuoso Mr Lang Lang on Tuesday, April 16, 2019, at the Paris Philharmonie. 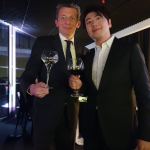 It's with great pride taht our Charmes Dessus Meursault 1er Cru vintage 2015 accompanied the dinner following Mr Lang Lang's concert. 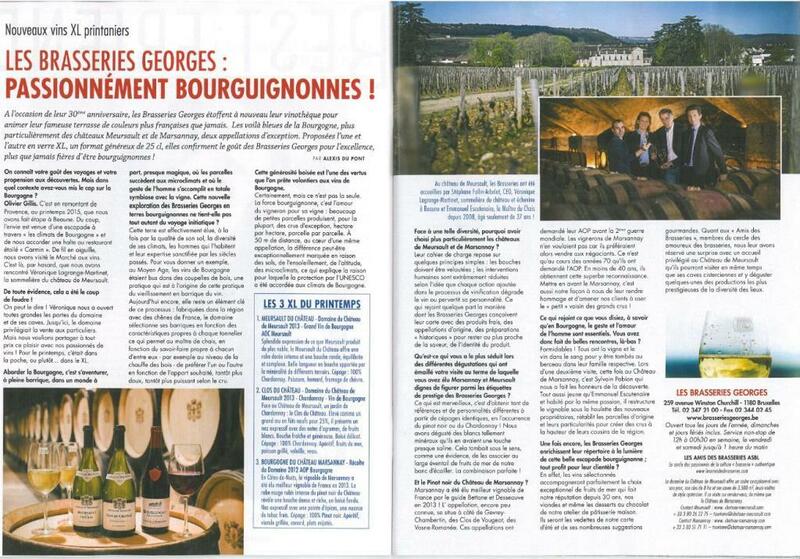 Terre de vins magazine has published an article describing the wine tourism services proposed by Château de Meursault, with also a brief description of the historical setting of the castle. 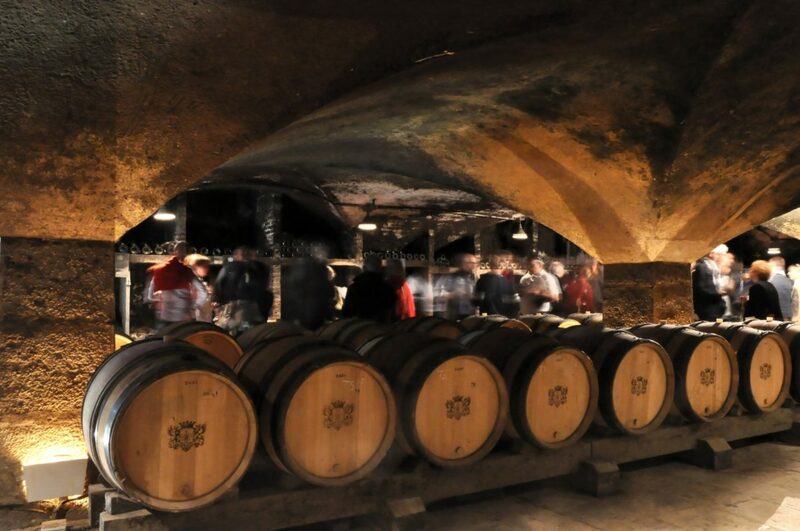 If you would like to share an experience around Burgundy's heritage and culture, don't hesitate to visit us! SAVE THE DATE : WE ARE OPENING OUR GATES ON FEBRUARY 1ST ! After our annual closure, we are now back and ready to welcome you at the Château de Meursault with new wines, news experiences and more surprises! 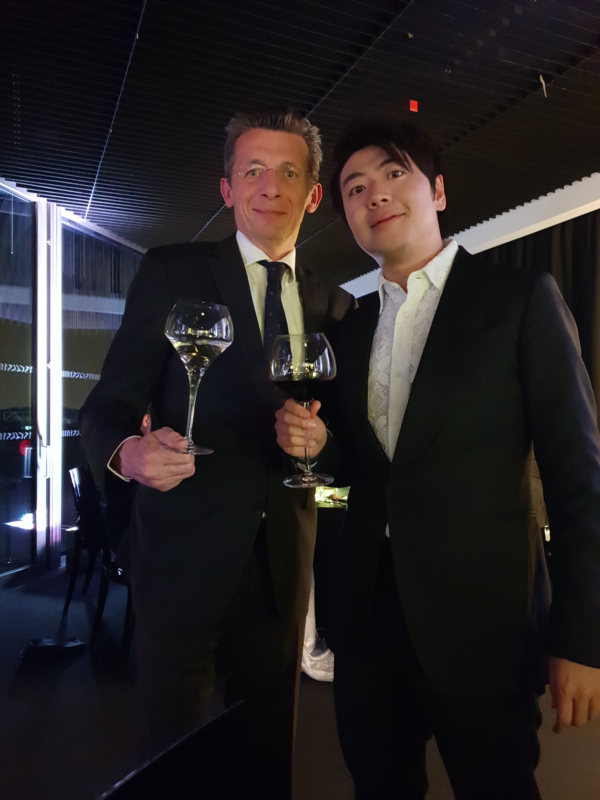 During the Steinway Artist Christmas Party on Thursday, December 18th 2018, Château de Meursault had the privilege to present Les Charmes-Dessus 2015 - Meursault Premier Cru. 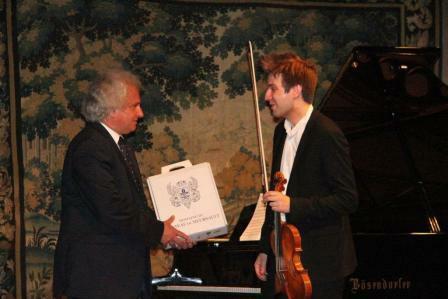 A concert by Gautier Capuçon, accompanied by 6 young cellists was played for the Steinway and Sons artists. A successful second edition ! Château de Meursault was not doing well for years and the reputation was to say the least somewhat lacklustre. 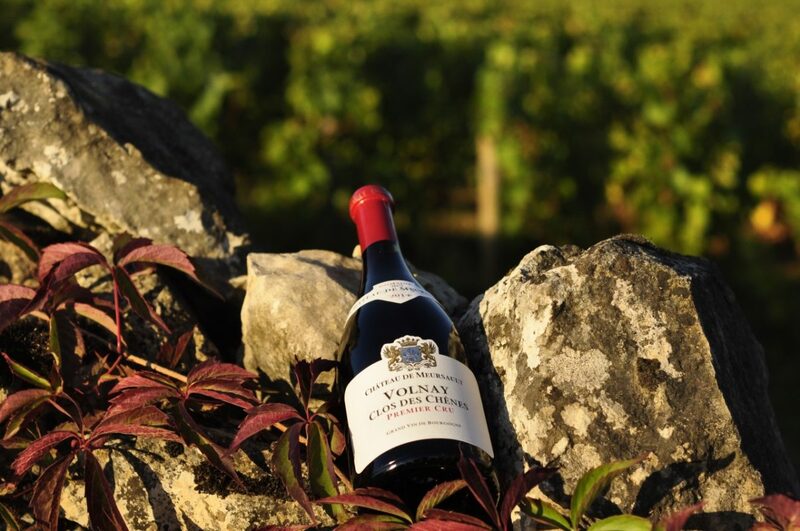 In 2012 changes began when Olivier Halley took over the estate, vineyards and buildings. Olivier Halley not only took over the Château de Meursault he also took over the Chateau de Marsanney including the vineyards in the northern part of Burgundy. 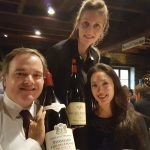 Olivier Halley has a background in the supermarket sector – as one of the owners of Carrefour – previously Promodès – before he entered the wine business in Burgundy. 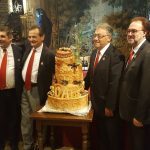 The acquisition was substantial, and it was clearly a big and large challenge to raise the quality of these wines, and also to restore the historical buildings associated with the estates. 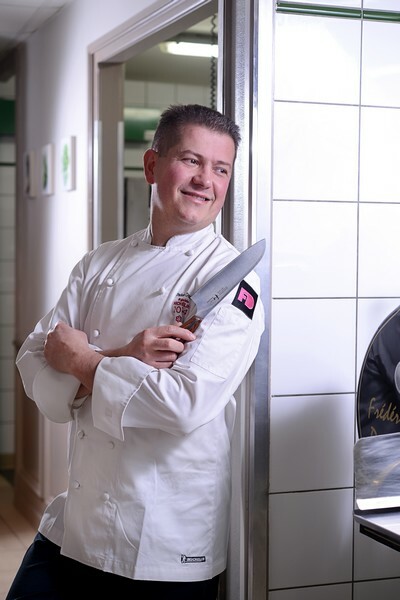 Olivier Halley quickly had a new team ready at the estates – with some of the existing people still there, whereas others are new in this setting. 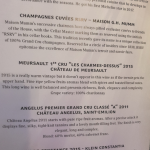 In this article I will mainly cover Château de Meursault. It is pretty clear that Olivier Halley have great ambitions with these mighty estates, and also that these ambitions can not be realised within a few years. 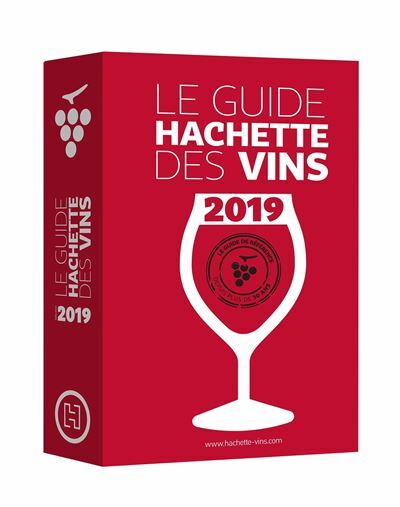 That being said the few wines I have tasted from the resent vintage does indicate that big steps have already been taken to ensure higher quality, and that the guide line for a future style of the wines are being laid. 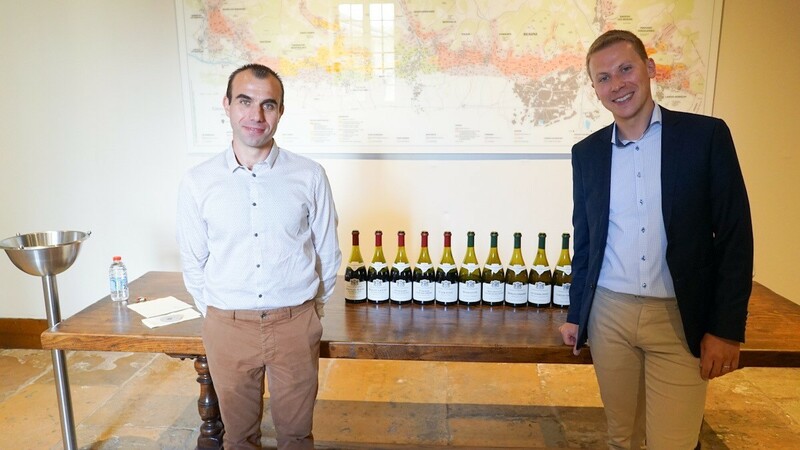 Manager of the wine estate is Stéphane Follin-Arbelet, who already has optimized the work at the estate, and the wines at Chateau de Meursault are still made by Emmanuel Escutenaire who is doing an excellent job in the celler. 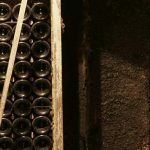 A lot of adjustments have been done to optimize quality to where we are now – amongst others they have moved to using small cases for harvesting, using thermo-regulated tanks for top cuvées, thermo-regulated stainless-steel for the others. Before the harvest took more than 2 weeks, now they are just using 7 days. 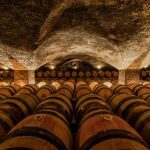 So in reality another world – and certainly another game when the wines are being produced. 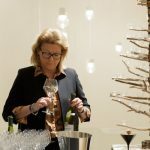 I was therefore exited to taste the wines, and to evaluate the results so far. I had the opportunity to taste a selection of 2015 and 2016s from bottle, to present the estate, the wines and the resent vintages. 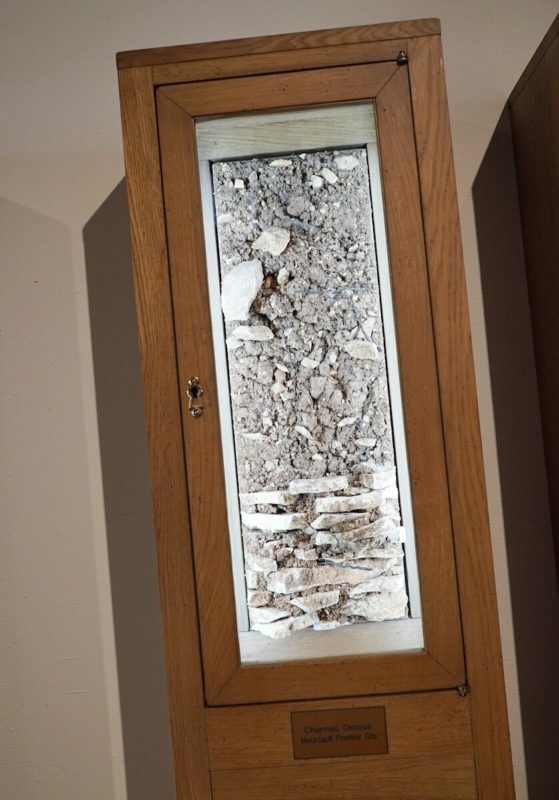 The style of the house is quite clear and forward and given by the oak used (mainly Francois Frères). This does set a prominent and recognisable style for the estate, and without being too dominant or prominent. The frost in 2016 was hard – only half the crop at Château de Meursault. The Clos de Chateau – 8 ha in total only gave 25 hl/ha – a intense and rather darkish yellow wine given the rather low yields. In the nose quite perfumed and exotic berries – yellow orchard fruits with a good mineral base. A intense and powerful wine given it’s level. The Meursault Clos de la Grands Charrons from a 1 ha Clos inside this fine village vineyard. Quite cool for the vintage, lovely fresh orchard fruits with a lovely citrus driven mineral nose. On the palate lovely depth and power, with a cool restraint character. A tremendous wine for the vintage. The Meursault Perriere is showing fine composure for the vintage. Bouquet quite restrained for the vintage, with some exotic fruits – good energy for the vintage. 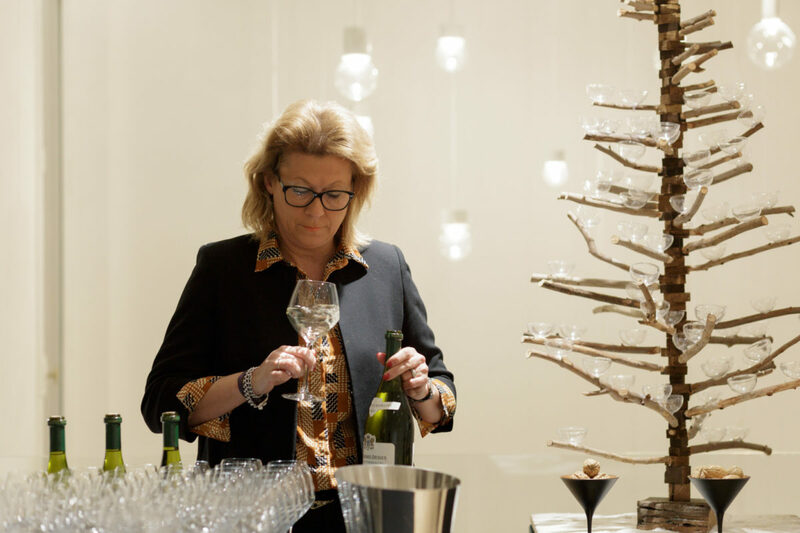 On the palate we find a lovely balance – and a good energy. 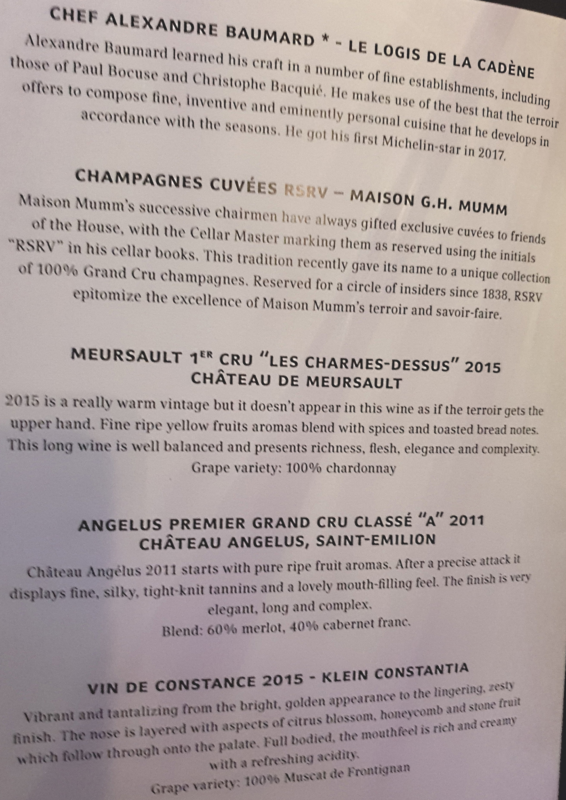 The Les Charmes Dessus is quite a step up from the Meursault Perrieres – is from two of the top-end plots in Meursault Charmes covering 1 ha. 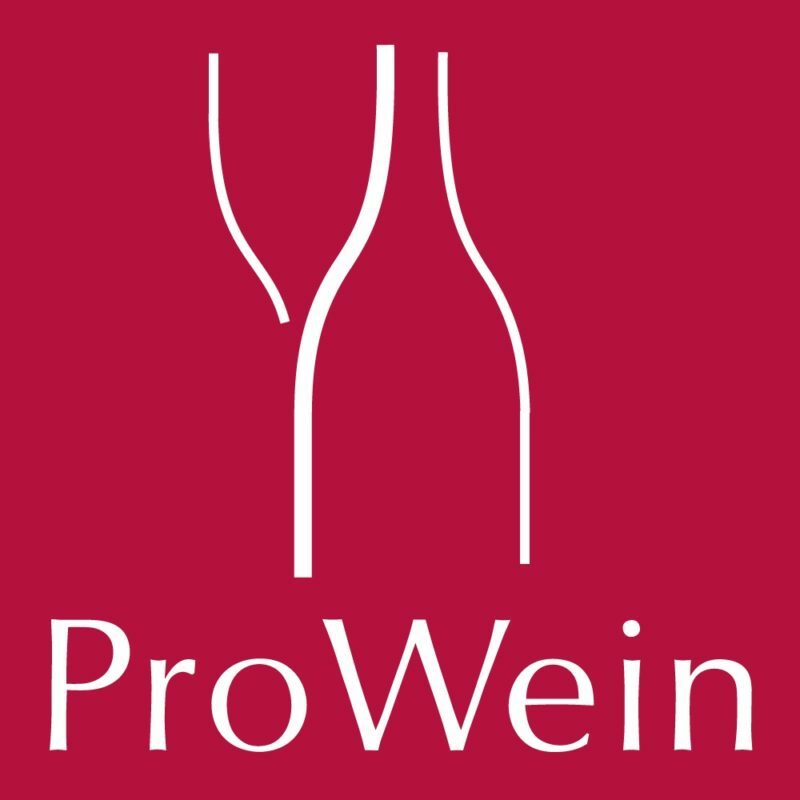 This is a quite unique wine for the vintage, offering both good depth and very fine balance for the vintage. 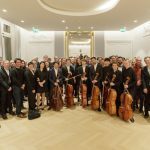 Impressive energy and quite intense – well done! 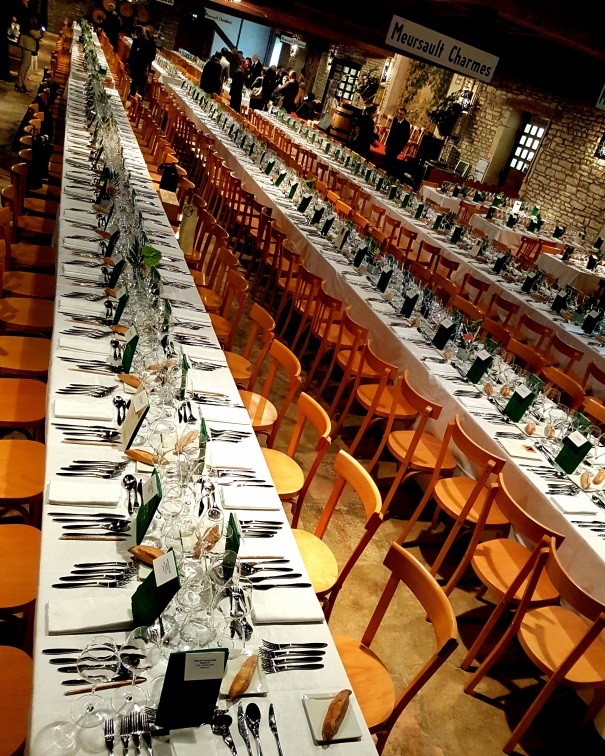 This convivial event allows the faithful friends of the Château de Meursault and Marsannay to taste the finest climats of our domains and enjoy old vintages that have been preserved in our cellars. 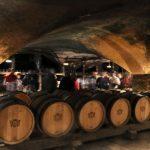 On Saturday, October 20th 2018, the friends of the Château are welcomed in the Orangerie from 18:30 and then go down to the cellar in order to taste a wine on the barrels. 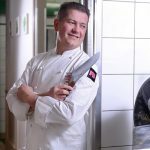 The large gastronomic dinner is orchestrated by the Master Chef Frédéric Doucet, l'Hôtel de La Poste, one Michelin star, in Charolles (Saône et Loire). 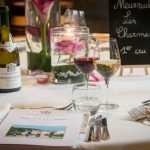 During this dinner, the wines of the Château de Meursault and Marsannay are served for a perfect wine pairing ! 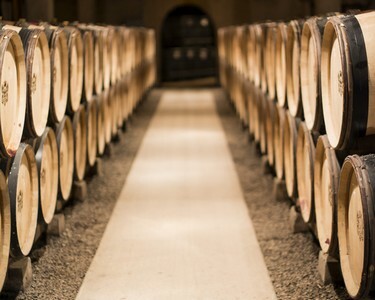 Book your day on www.chateau-meursault-marsannay.com with the code PAULEE18. 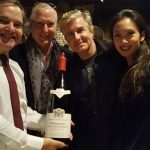 Directed by Aubert de Villaine, the "Musique & Vin" Festival at Clos Vougeot offers for its 11th edition, from June 23rd to July 1st, a meeting between international artists and winemakers. 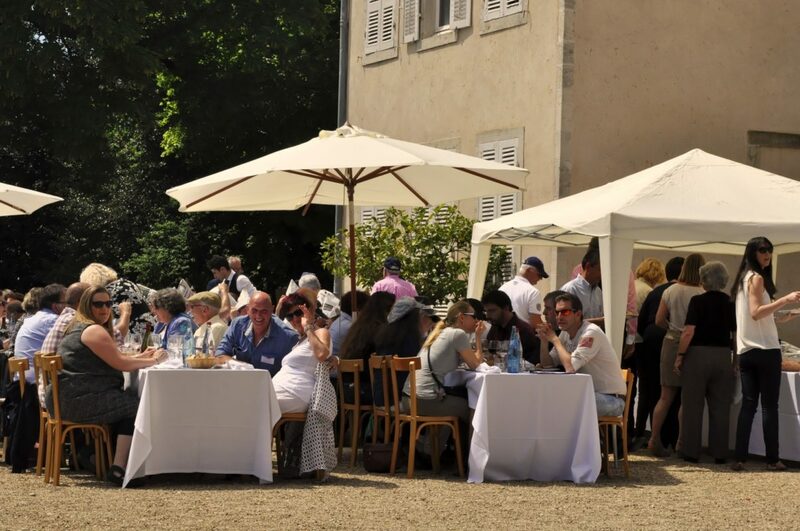 Château de Meursault is happy to present an exceptionnal event on Friday, June 29th with a tasting and a concert. 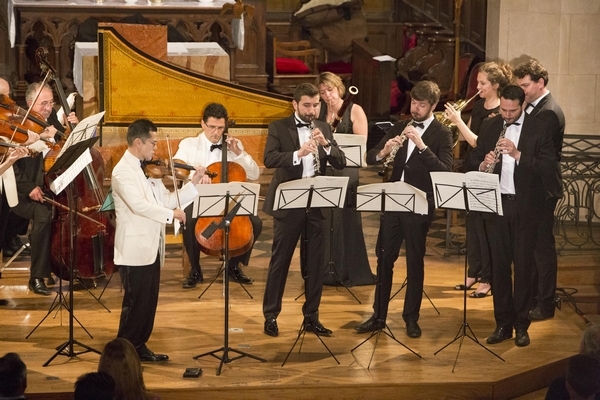 - From 18.30 pm : concert in the Church of Meursault (30€/pers). 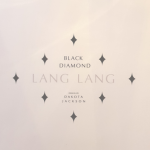 "A tangy, aromatic style, offering ripe berry, floral, sandalwood and spice flavors, this is elegant, with a slightly chewy texture and a firm, dry finish. Best from 2020 through 2030." 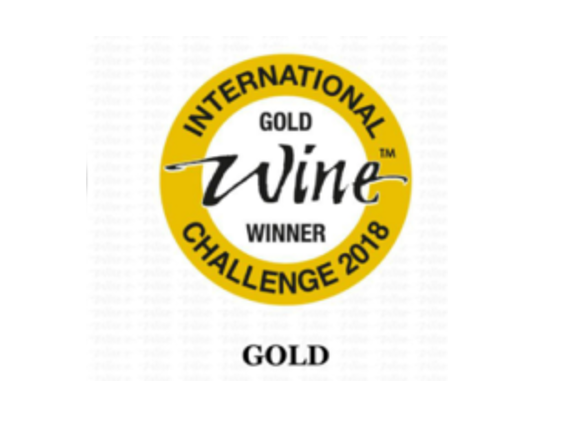 Results of the Decanter World Wines Awards 2018, rewarding the 2016 vintage. 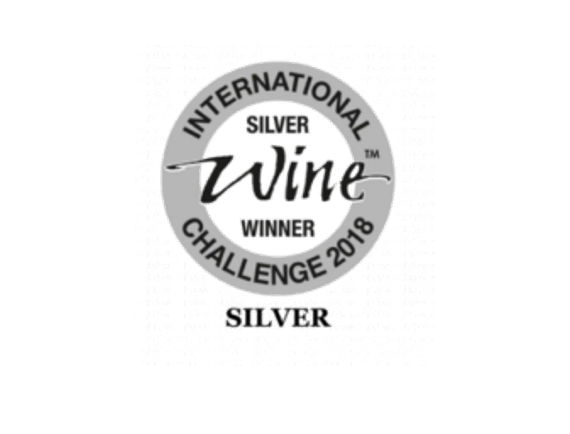 4 Gold Medals and 1 Silver Medal at the International Wine Challenge 2018! 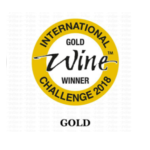 Results of the 34th edition of the International Wine Challenge (IWC), owned by William Reed Business Media, rewarding the 2016 vintage. 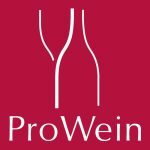 Tasting and En Primeurs 2017 Day ! Ready for an exceptionnal tasting of the 2017 vintage wines? 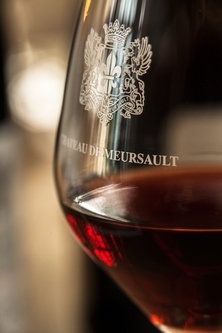 Login to www.chateau-meursault.com to access your customer account. 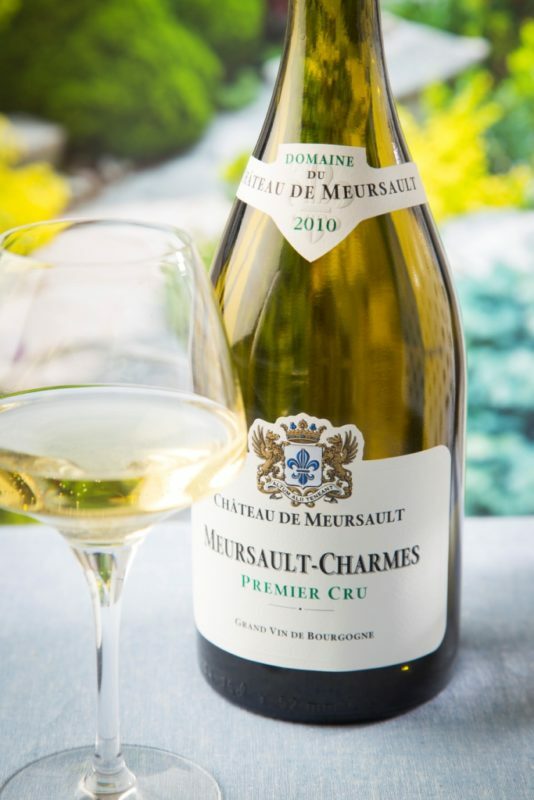 Write down your e-mail address and the code PRIMEURS17 to order your wines online and use the code INVITPRIMEURS17 to book your tasting at Château de Meursault. 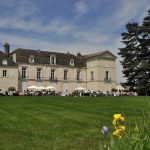 Château de Meursault has received TripExpert's 2018 Experts' Choice Award ! 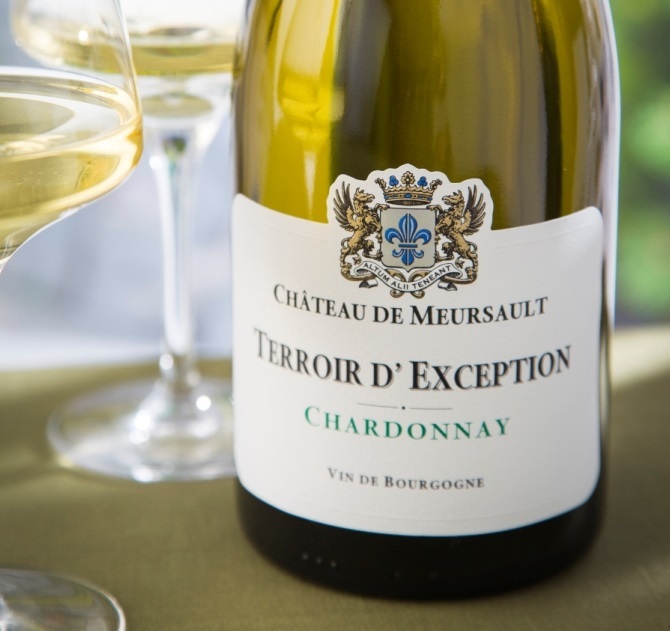 Chateau de Meursault is among the recipients of the 2018 Experts' Choice Award from TripExpert. Based on 1M+ reviews from 85 different publications, the award recognizes the best attractions around the world. TripExpert takes a new approach to ratings by using only expert reviews from travel guides, magazines, newspapers and other respected sources. 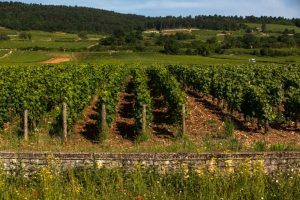 With positive reviews from reviewers like Fodor's and Lonely Planet, Chateau de Meursault is one of the best rated attractions in Burgundy on TripExpert. 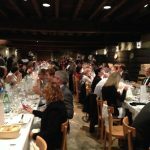 Chateau de Meursault has also received TripExpert's Best of Burgundy award. 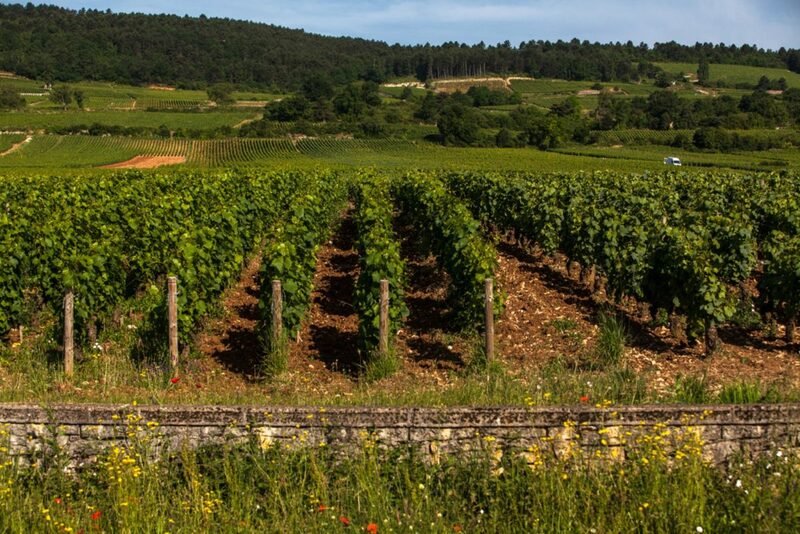 Reviewers agree that its is among the most worthwhile things to do in Burgundy. Based in New York City, TripExpert aggregates expert reviews of hotels, restaurants and points of interest. On TripExpert.com, travelers can read over 1M reviews from leading travel media. TripExpert provides an alternative to sites powered by user reviews. 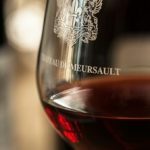 Château de Meursault and Château de Marsannay : one of the best “under-the-radar” Burgundy Domaines by Jancis Robinson MW. Château de Meursault dates back to the 11th century and after a number of different owners, the estate was taken over by the Halley family in 2012. 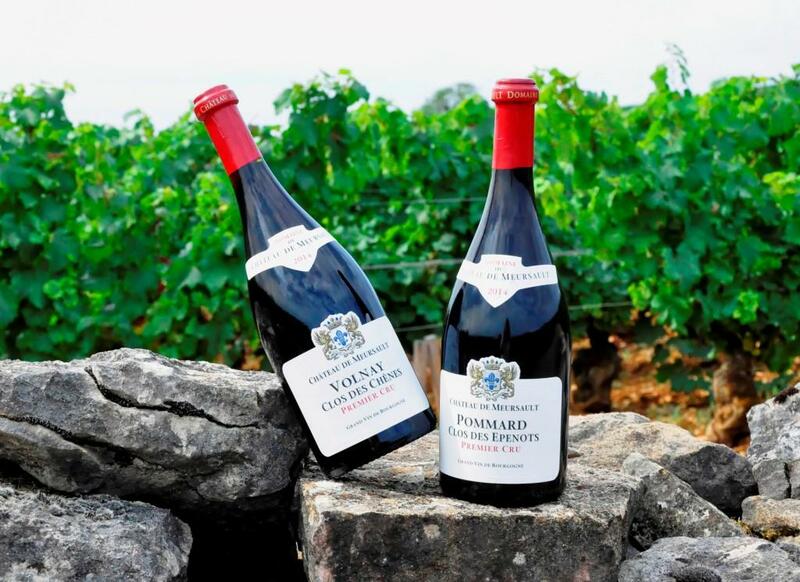 Today, it is one of the most beautiful properties in Burgundy, producing hand-crafted wines made from 100 percent estate-grown fruit, that reflect the distinctive vineyards and appellations from which they are made. 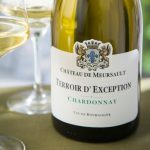 Château de Meursault comprises 60 hectares of vines, all situated in the Côte de Beaune, around Aloxe-Corton, Savigny- Lès -Beaune, Beaune, Pommard, Volnay, Meursault and Puligny-Montrachet. 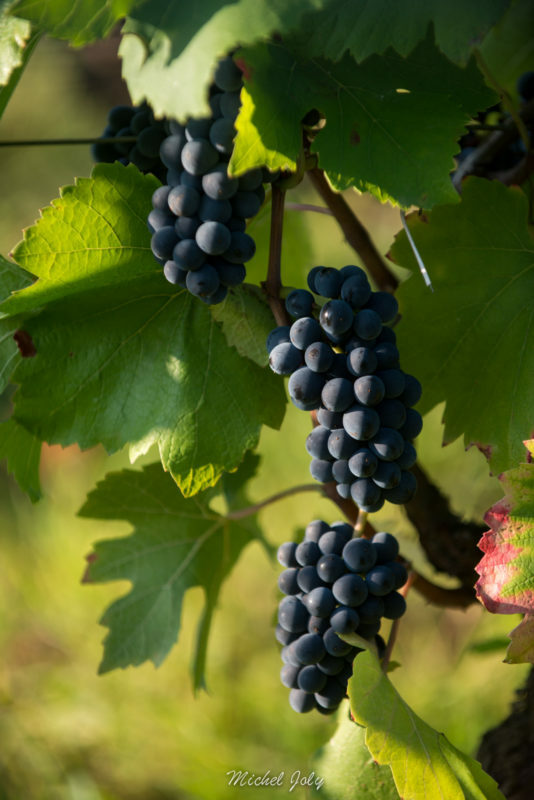 Each climat and terroir imparts very different qualities into the wine. 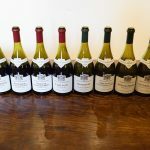 The famous Bristish Master of Wine Jasper Morris, who lives in Burgundy, has just published his first report on the 2016 vintage. Château de Meursault comes as one of the Top Producers for most appellations. 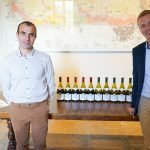 The Château de Meursault has been revived under the ownership of Olivier Halley, with Stéphane Follin-Arbelet running the business, along with the Château de Marsannay, and Emmanuel Escutenaire in charge of making the wines. 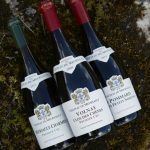 If the property has more the look and feel of a Bordeaux Château (they were expecting a big group from a cruise ship when I tasted), the more important factor is the work being done to put these properties back among the forefront of Burgundy producers. 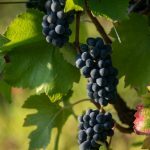 Changes needed to be made in the vineyard – looking after 60 hectares of predominantly old vines and moving viticulture towards organic practices – and in the cellar where there has been wholesale refurbishment and significant fine tuning of the winemaking. The whites have achieved a high standard over the last few vintages. The reds too, though these are quite muscular wines, not aimed at those looking for a more ethereal style. 2016 delivered only half crop at Meursault, a quarter in Marsannay. Picking began on 21st September with whites and reds coming in at much the same time, as each vineyard ripened. Both colours were still in barrel, unracked, when I tasted in early October 2017, having been put on fine lees from the start. Less new wood was used than normal, and less whole bunch fermentation for the reds. Emmanuel Escutenaire noted that the colours came out very easily in 2016. The Clos covers 8 ha, mostly in Bourgogne Blanc but also AC Meursault (Sous la Velle) Pale lemon colour, with a ripe fruit nose. Quite perfumed, with fresh apricot, pineapple and the sweetness of lemon balm. Excellent personality and this continues on the palate. Lovely fruit acid balance. From Les Peuillets, very ripe so picked early, and then cooler sites Les Goudelettes and Les Gollardes which are picked at the end of harvest. Attractive primrose colour, fresh lemon notes, beautifully chosen oak, the fruit continues right across the palate. I am not usually a great fan of white Savigny but this is a good example. From five small plots: En Ormeau, Sous la Velle, Grands Charrons, Meix Chavaux and almost 100 year old vines in Les Dressolles. Plenty of energy behind, good tension, a little touch of liquorice, a sound middleweight Meursault. From the upper part, half a hectare touching Poruzots. Pale colour and very backward nose. A little bit of wood toast emerges slowly. Almost some tannins in this, which give a drier finish. Quite tightly wound at the moment. 1 hectare of a genuine clos, at the top of the vineyard. Beautiful pale primrose with a faint light green aspect. Lovely quality to the nose, a little bit of banana in with the white fruit. Intense, fine, delicious, this is excellent for its level. Proper intensity while staying balanced. 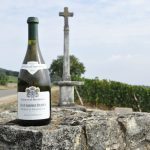 One hectare, planted in an old quarry between different sections of Meursault Perrières in 1977, but just granted Bourgogne status. Sold at Meursault price. Escaped the frost in 2016. Pale fresh yellow, the nose is a bit backward, but there is some depth. Richer and softer, yet still with a salty tension along with some muscle. But less class than the Clos des Grands Charrons. 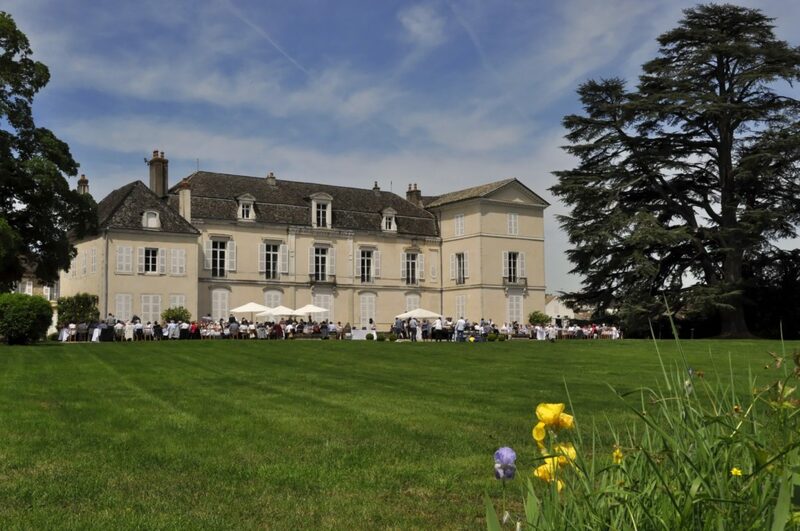 The Château has 4.6 hectares in total, from six plots, four in the upper part and two below. Fullish yellow with a powerful muscular nose, some frost damage, powerful, indeed exceptionally so, but a bit clunky at the finish. Long though, with some fresh apricot notes. 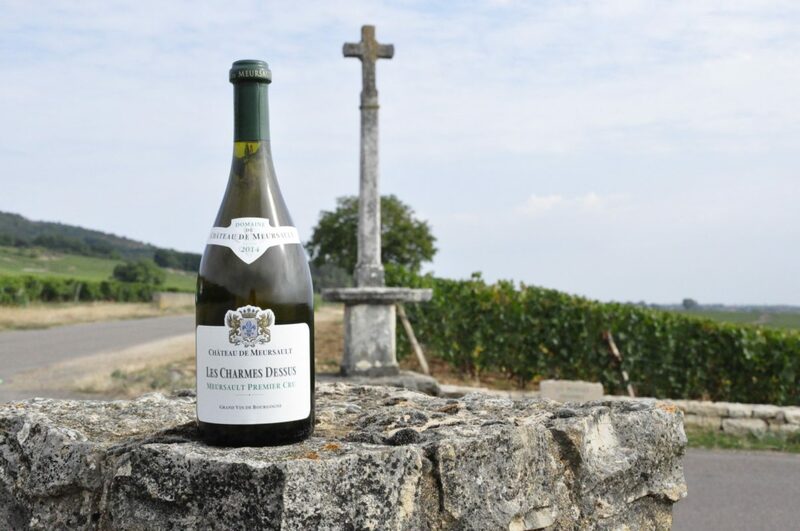 Charmes Dessus comes from just the best two of the top four plots, covering one hectare. Fine pale primrose, much more finesse to the nose than the regular Charmes, this is worth spending time over. Very complete, absolutely the essence of Charmes, long, fine suave texture, balanced and very long. Above the Clos des Perrières with their Terroir d’Exception plot in between. One hectare in one plot, on the left excellent plant material, and ten years older than the right. Full primrose, oak, a faint touch of banana. 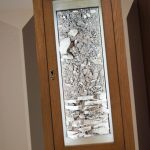 This has impressive density and then a fine mineral touch behind. Good medium weight Perrières, with very good balance. Above Domaine Prieur’s Combettes. Very old and degenerate vines but too good to pull out, so individual vines are replaced. Fine pale colour with a fresh lively almost herbal nose from faint reduction. Very good energy on the palate, the mini reduction gives a fine tonic energy, very long with a steely thread through the middle, very successful. 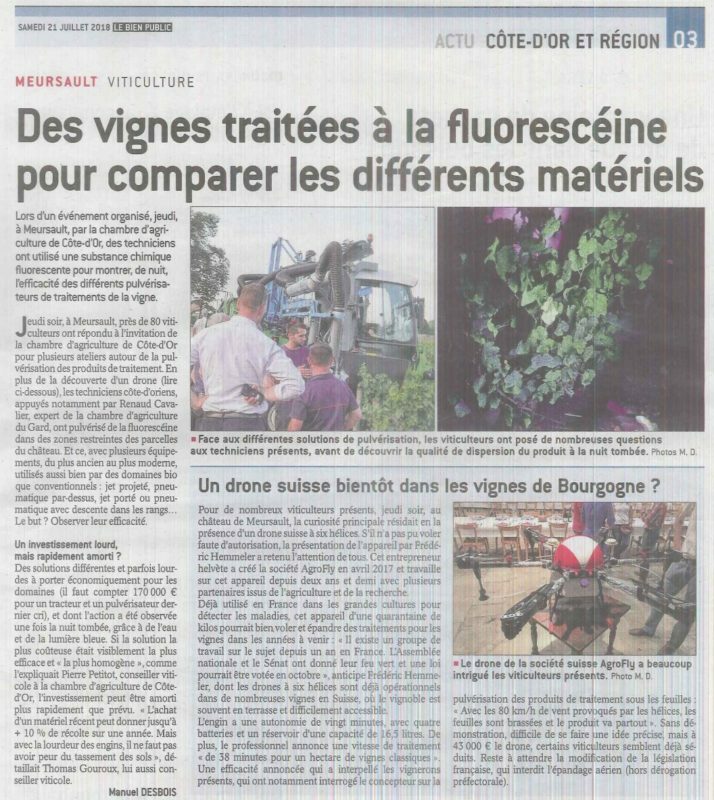 One third hectare, 2016 being the third vintage since they bought the plot. Old vines with some virus. Mid primrose, middleweight, aromatic, slightly salty and with herbal notes. Quite elegant behind, stretches out nicely, complex finish. Mid primrose in colour, white fruit apparent on the nose, a big soft rich mouthful yet balanced by a tighter finish, opulent wine easy to appreciate yet still fine. Finishes nicely on some floral notes. From 4ha in Les Boutières in Aloxe-Corton, but not classified as such, and 2ha below Pommard. Concentrated dark colour. Quite rich firm fruit, a bit of walnut, not a supple style but with good structure behind. Some raspberry fruit. Then tight with acidity and tannins as well as fruit. Heavily frosted alas, making an impressive if atypical wine. Rich dense purple, quite massive in style. This came in at 14% natural and it is massive for the vintage and appellation. Amazingly dense fruit, but what about finesse? Some acidity at the back, tannins less evident. More black fruit than red. I am quite impressed by this but cannot fall in love with it. Equally dense purple black colour, but a slightly more recognisably Savigny nose. More elegance here and with good tension, excellent length, slightly more in red fruit with dark cherries alongside. Good acid balance. Old vines 50 plus recently converted to organic farming. The rows continue into Fèves, see below. Glowing purple and a fine pure classic fruit, this has the softer elegance of Beaune, moderate weight through the middle, fair length. A gentle mid-slope Beaune but still fully ripe. 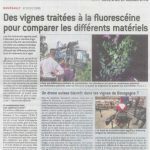 0.7 ha of the 2.5 ha block shared with Cent Vignes, but quite different. Dense dark purple with a sprightly vigorous nose, lots more energy fine fresh cherry and raspberry. Excellent energy to this. More harmony with an attractive velvety feel. From one hectare mid slope next to Bouchard’s Vigne de l’Enfant Jesus on the right. 50 year old vines. Full deep purple with a rich deep nose, some roses in amongst the fruit. 30% whole bunches shows in the lifted finish. Firm but ripe tannins behind, a vin de garde. From the Petits Epenots sector, in the middle of de Courcel’s holding. Very intense purple colour, with rich velvety fruit on the nose, even a bit of chocolate. Lovely balance in the mouth though, dark raspberry, still a chocolate note or two, good acidity. Long with fine-boned tannins. Interesting to see if this develops more towards the muscular, or retains its Epenots elegance. 2.5 ha of very old vines. Tiny berries, resisting all disease, must be very good plant material. Rich deep purple black, very intense colour. Massive for this appellation, but a rich juicy fruit, good structure behind, the oak reappears at the back. This is an impressive wine, albeit not quite what I expect for the vineyard. Half a hectare in a single plot between Rognets and Vergennes. Dense purple, the oak shows more than the fruit at first sniff. Starts gently, perhaps a touch of sucrosity, then some acidity behind, not a rugged style of Corton. 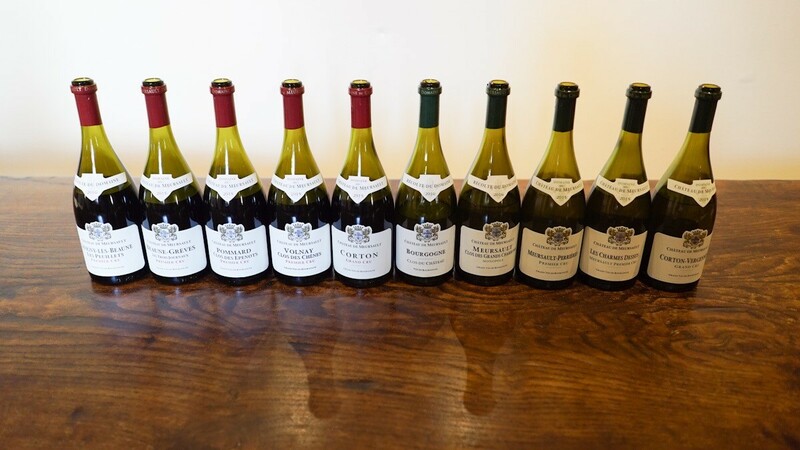 Another impressive and continually improving range of wines for the 2016 vintage of Château de Meursault. Tim Atkin Burgundy 2016 Special Report : Great scores for our wines from Château De Meursault! 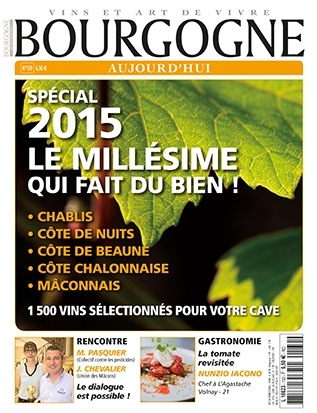 BOURGOGNE AUJOURD'HUI N°139 : Another success for our 2014 and 2015 wines from CHÂTEAU DE MEURSAULT! The exceptional finds its origin in rarity! 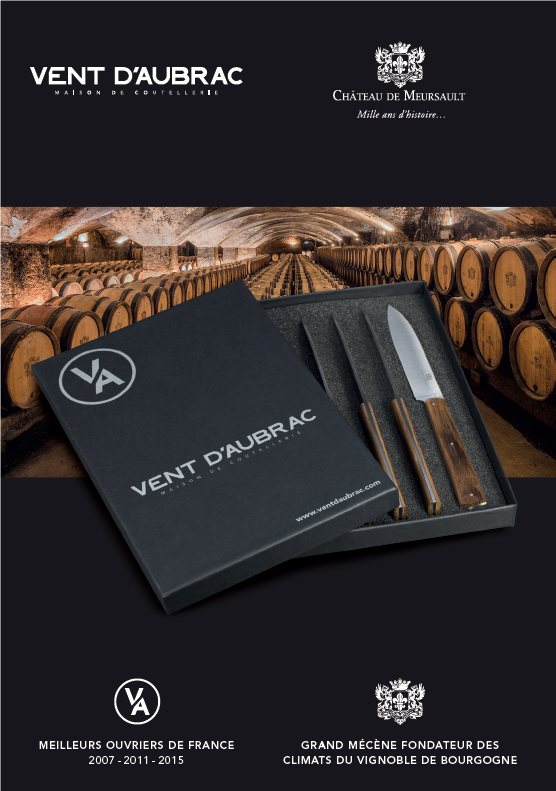 The Cutlery House Vent d'Aubrac https://www.facebook.com/ventdaubrac/ and Château de Meursault have united their expertise #3 best workmen of France # Great Patron of Climats de Bourgogne Association to create a unique piece : a box of 6 "feather knives". 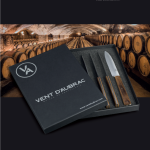 These sumptuous knives'handles come from the staves of Château de Meursault's oak barrels. Boxes for sale at Château de Meursault and Marché Aux Vins. 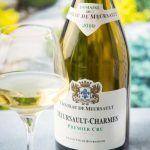 Domaine du Château de Meursault obtained the 4th star at Bettane & Desseauve Wine Guide! 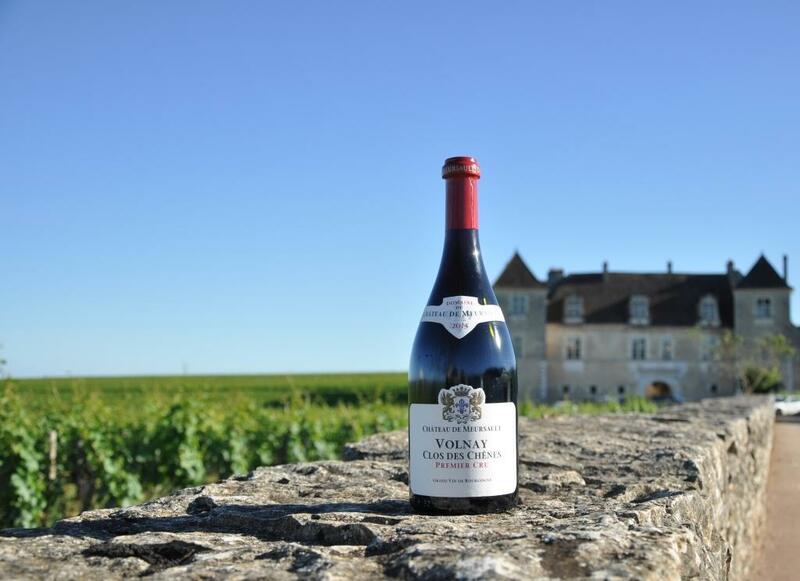 Volnay Clos des Chênes 1er Cru 2014 gets Volnay Trophy from The International Wine Challenge! 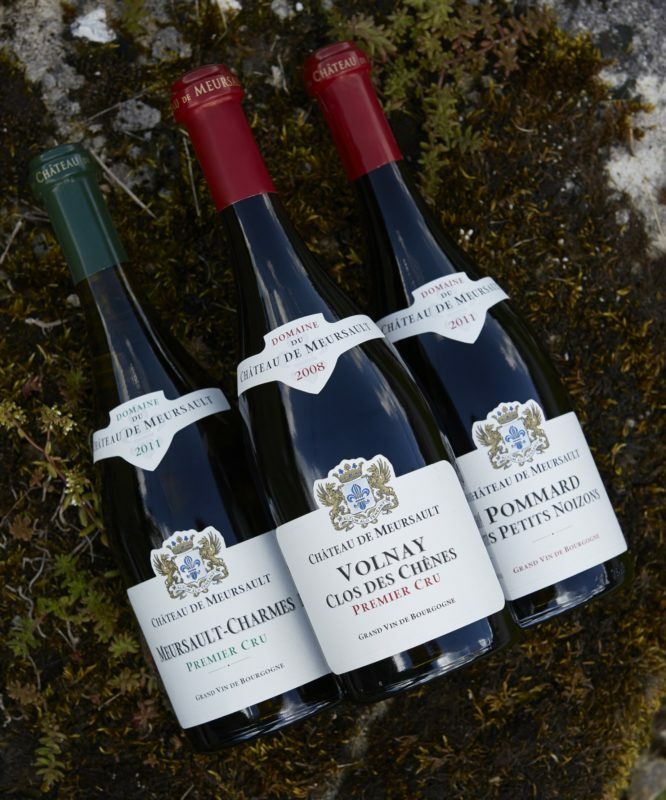 Volnay Clos des Chênes 1er Cru 2014 by Château de Meursault gets Volnay Trophy and Golden Medal from The International Wine Challenge, the most prestigious wine competition in the world! 2015 vintage scores by Allen Meadows! En Primeurs 2016 Day ! 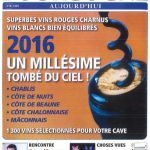 The World of Fine Wine Magazine No 55/2017: Meursault Charmes Dessus 1er Cru & Meursault Perrières 1er Cru get the best score in the appellation! 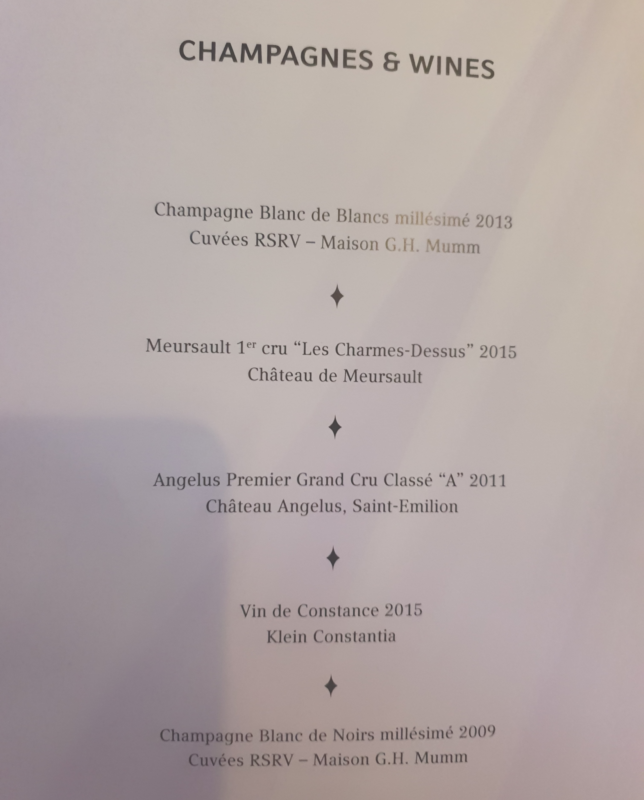 Michel Bettane: " Meursault Charmes-Dessus was one of the greatest wines shown in London - great body, great style ... 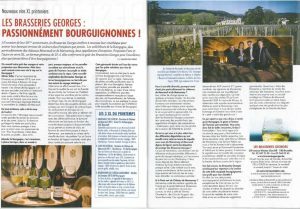 This is now one of the best estates in the Côte de Beaune, due to the efforts of the Halley family and a brilliant team." 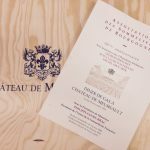 On Saturday, October 7th 2017, the friends of the Château are welcomed in the Orangerie from 18:30 and then go down to the cellar in order to taste a wine on the barrels. 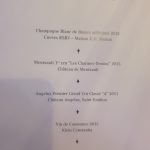 The large gastronomic dinner is orchestrated by the Master Chef Cédric Burtin, L'Amaryllis in Saint-Remy (Saône et Loire). 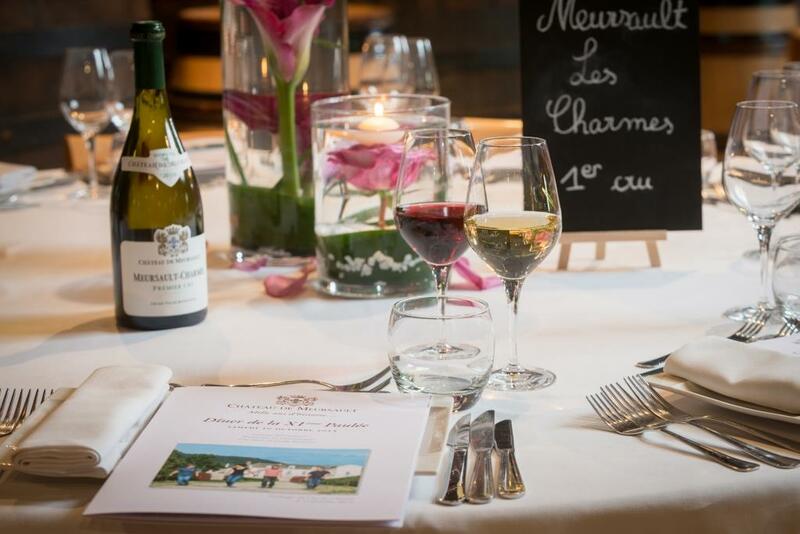 During this dinner, the wines of the Château de Meursault and Marsannay are served for a perfect wine pairing ! 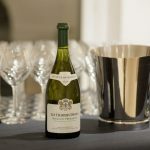 Book your day on www.chateau-meursault-marsannay.com with the code PAULEE17. 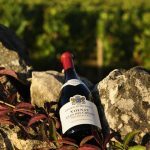 Golden Medal for Volnay Clos des Chênes 1er Cru 2014 ! 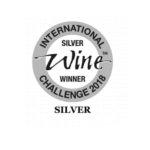 Golden Medal for Volnay Clos des Chênes 1er Cru 2014 at l'International Wine Challenge! 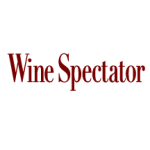 This international wine show is exclusively reserved for professionals (importers). The stand of Château de Meursault "Halley Wines & Spirits, Hall 11 / D20" is to be visited by the imported from Asia, USA as well as Europe. 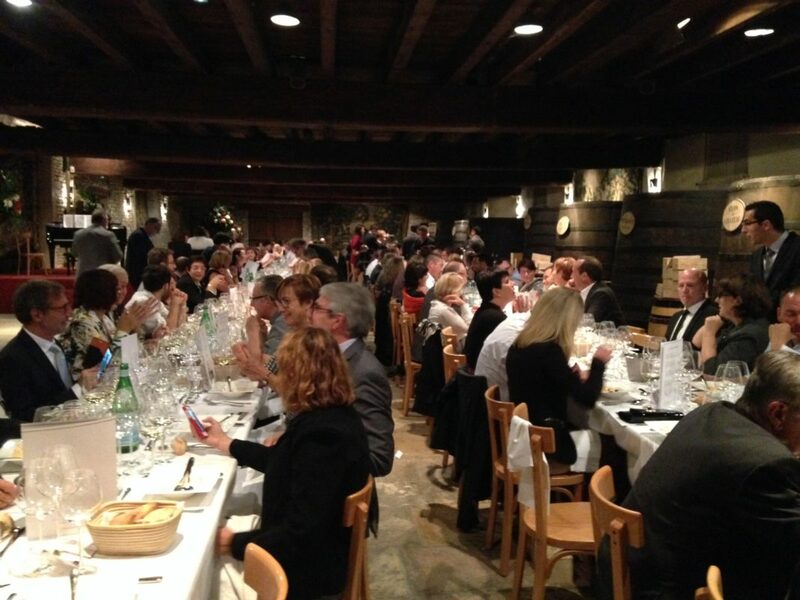 During the 156th Hospices de Beaune Wine Auction, French TV channel TF1 has chosen Château de Meursault to talk about a very promising 2016 vintage ! 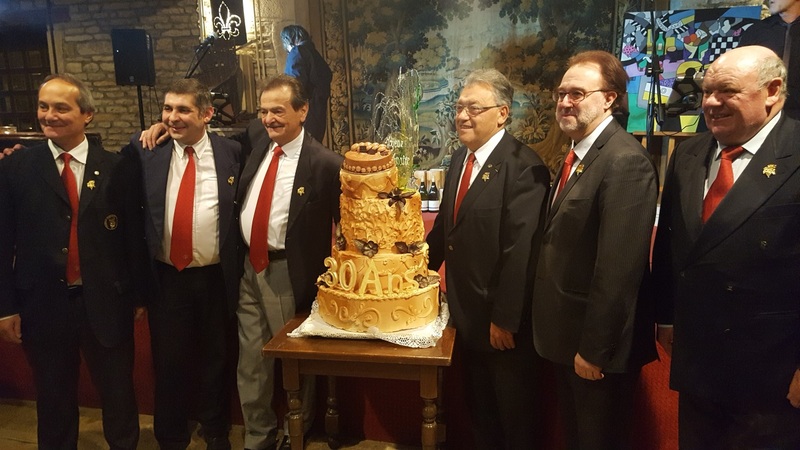 30th anniversary of Burgundy Sommeliers Association! 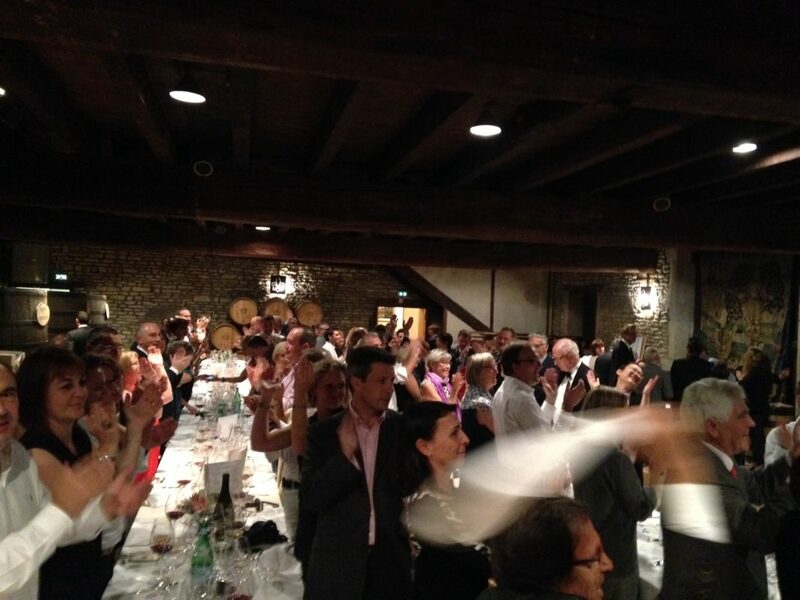 Some images from a 30th anniversary party organized at CHATEAU DE MEURSAULT by the Association of Burgundy Sommeliers. 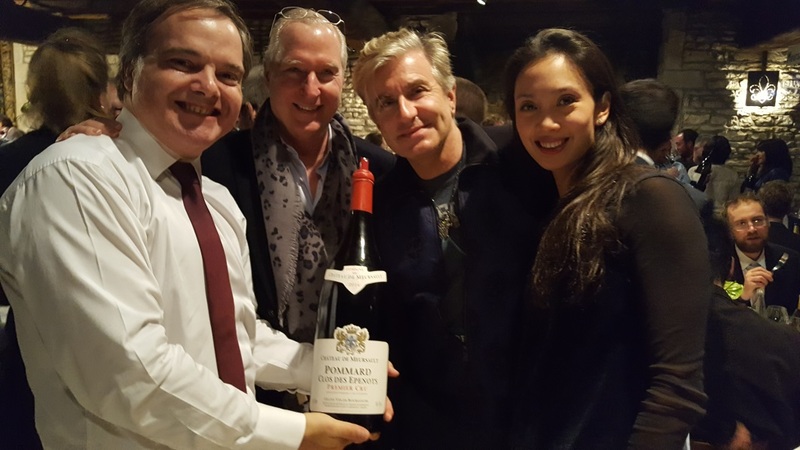 We were delighted to welcome the Best World Sommelier Philippe Faure-Brac, the Best French Sommelier George Pertuiset, Jean-Claude Wallerand, Michel Smolarek, Philippe Meyroux & Patrice Gillard. 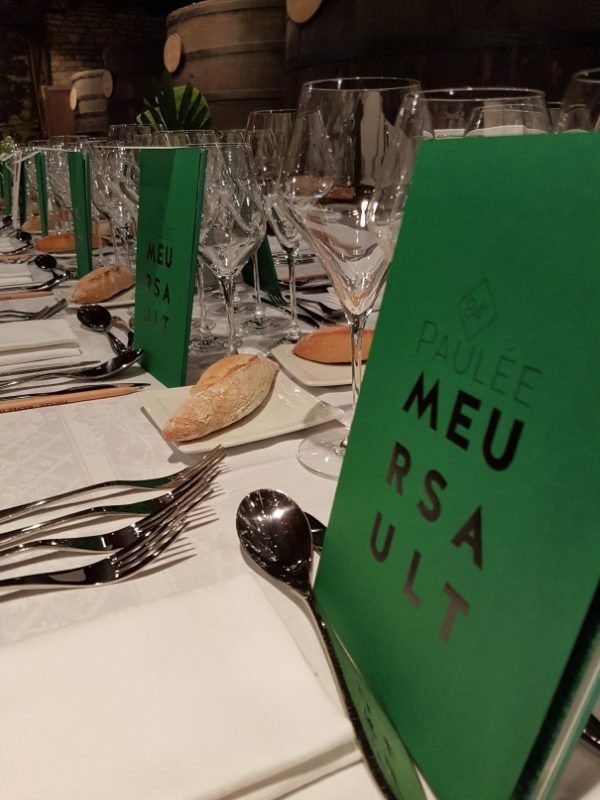 Some images from the 84th Paulée de Meursault! 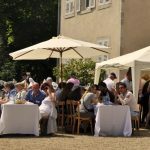 France 3 TV Channel - live from Château de Meursault ! 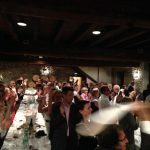 France 3 TV Channel - live from Château de Meursault during the 84-th Paulée de Meursault ! Come and taste the wines from Château de Meursault during Grand Tasting organized by Bettane & Desseauve at Carroussel du Louvre on the 25th & 26th of November 2016! 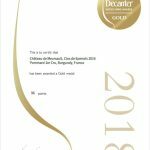 Golden Medal at Mondial des Pinots 2016 Wine Competition! 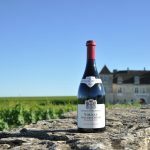 Volnay Clos des Chênes 1er Cru 2014: Golden Medal. 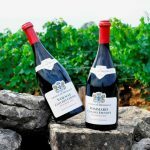 Pommard Clos des Epenots 1er Cru 2014: Silver Medal. 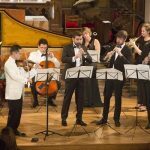 31st Edition of «De Bach à Bacchus» Festival at Château de Meursault ! 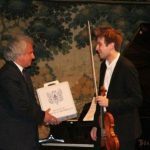 More than ever - an exceptional program including Brams and Schubert with the participation of a young violonist David Peterlik. 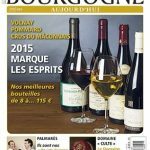 La Revue du Vin de France Magazine! 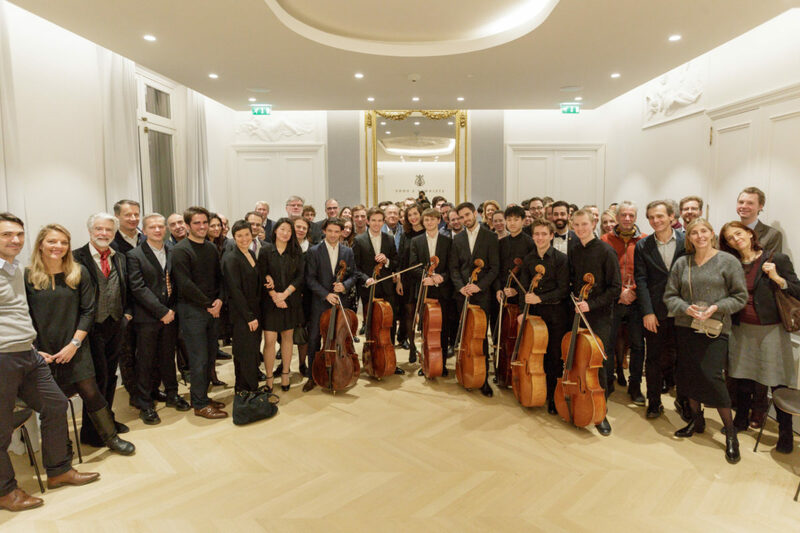 An exceptional party is organized each year at Château de Meursault as part of the Musique et Vin au Clos Vougeot Festival, which is a real encounter between classical music and Burgundy wines. 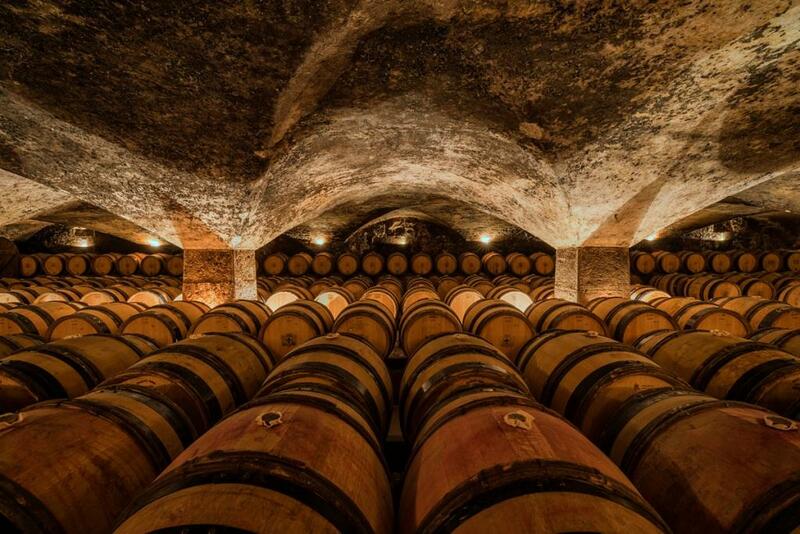 On this occasion, the wines from Meursault appellation proposed by more than 10 most prestigious domains are tasted in the magnificent cellars of Château de Meursault. 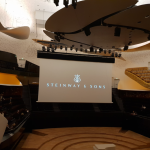 This tasting is followed by a classical music concert with the participation of outstanding musicians from Weiner Philharmoniker and Metropolitan Opera playing the masterpieces from Bach, Mozart, Schumann, Dvorak and others. 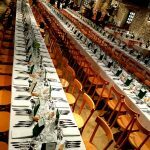 The event is enclosed by a grand gastronomic dinner that brings together the amateurs of wine and music from all over the world. 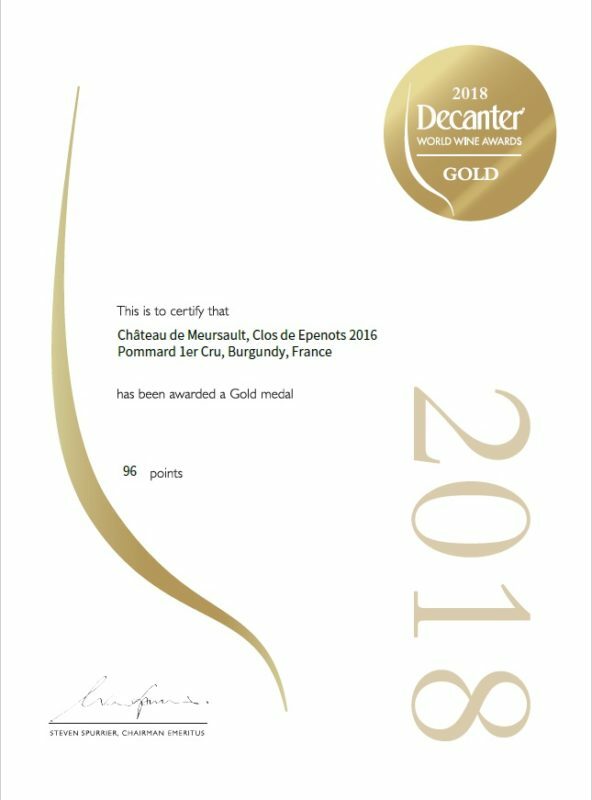 Golden Medal for Meursault Perrières 1er Cru 2013. 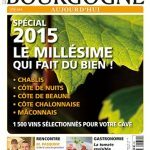 Silver Medals for Meursault Charmes Dessus 1er Cru 2013 & Volnay Clos des Chênes 1er Cru 2013. 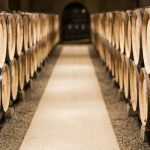 Château de Meursault - under-the-radar Burgundy domaine! 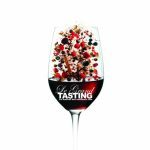 Launching of the visit and tasting season ! 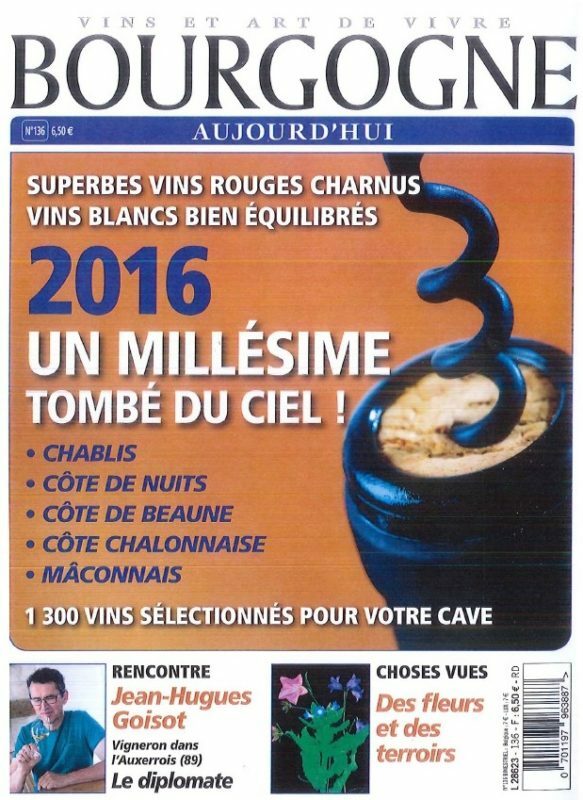 An excellent news for Château de Meursault : our Volnay 1er Cru Clos des Chênes 2012 was ranked 2nd best wine in Côte de Beaune by the prestigious magazine "The World of Fine Wine"! 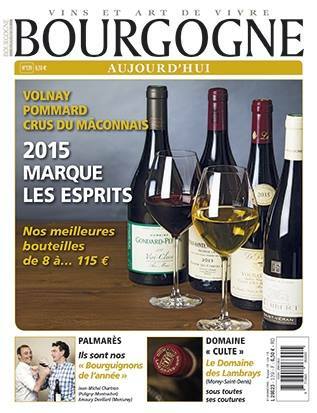 Our Pommard 1er Cru Clos des Epenots 2012 also comes in TOP 10! 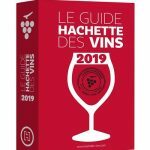 Both Meursault Charmes 2012 and Volnay Clos des Chênes 2012 were selected as “Coup de Coeur” ( favorite wine) in the new edition of the famous guide. 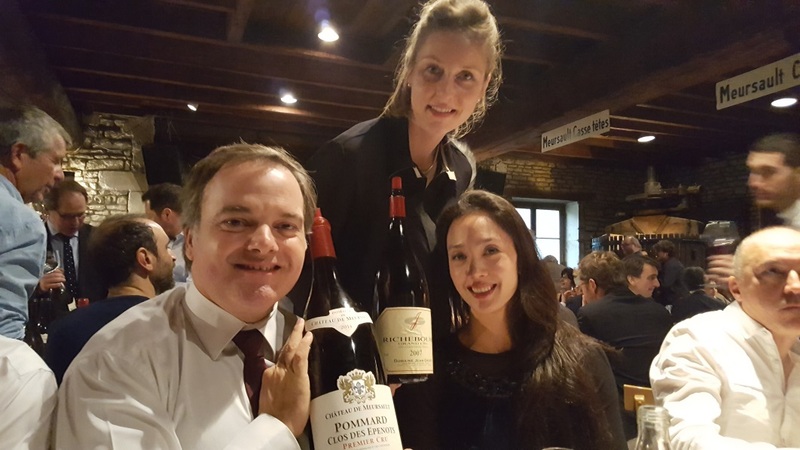 Corton Vergennes 2013 and Pommard Clos des Epenots 2012 have also received the rewards. You can get some more information by clicking on the wine. The wine professionals are able to meet the Burgundy vintners within the tasting of Grands Jours de Bourgogne that are organized every 2 years. 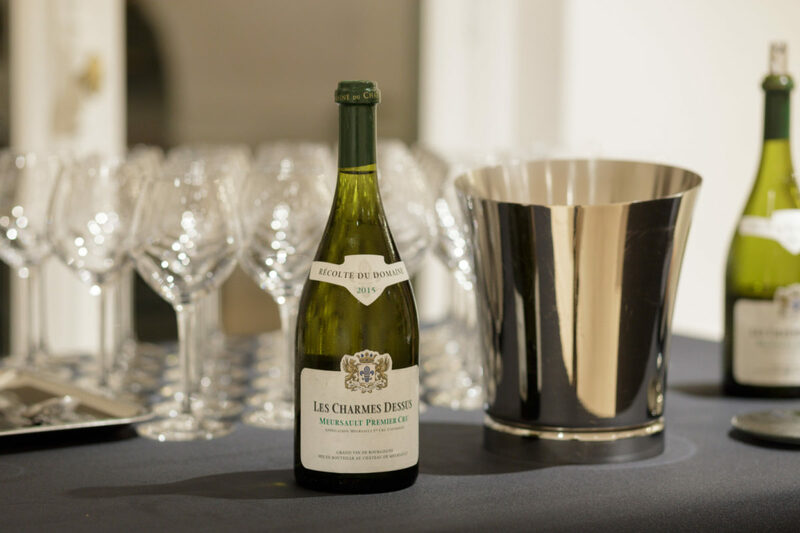 The tastings change the place every day, starting in Chablis on the 21st of March and finishing in Mâconnais on the 25th of March 2016. 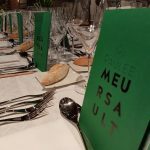 It is on the 23rd of March that Côte de Beaune and the wines of Château de Meursault to be honored in different villages of the Côte. 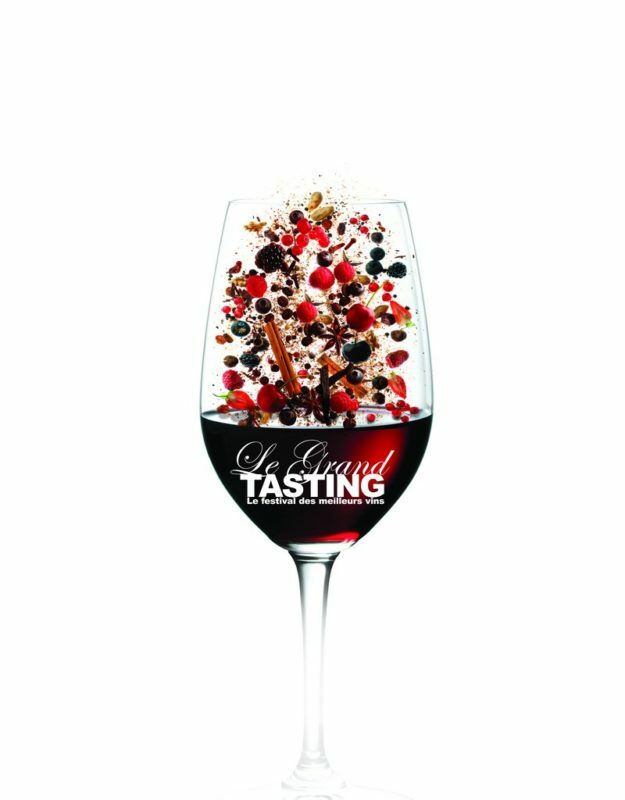 More information about the exact places of the tasting is to come soon! 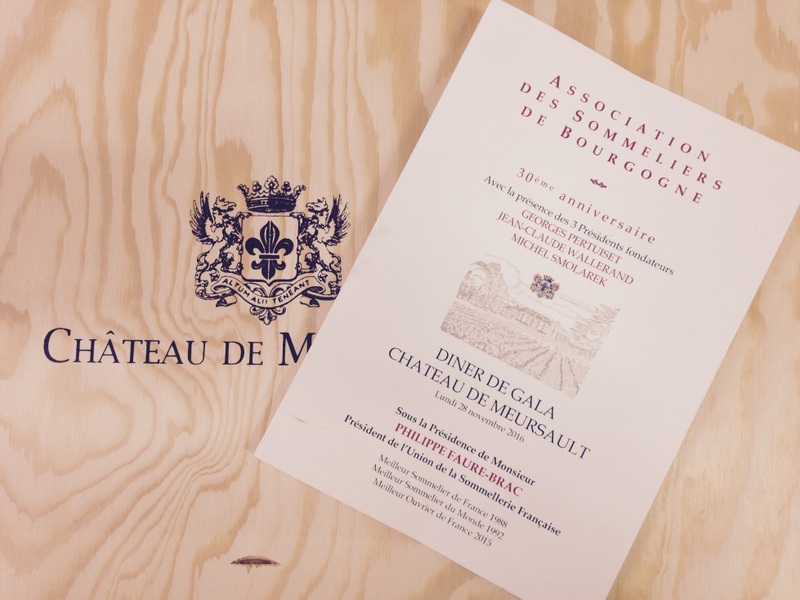 At the end of July, Château de Meursault (that was at the same time the Great Patron of Climats de Bourgogne Association), was promoted the Great Patron and Founder of the Association. 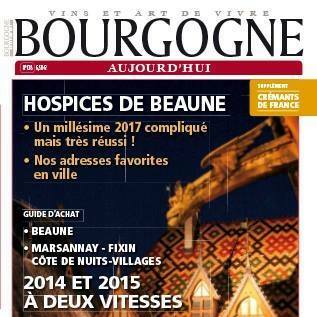 This promotion followed the approval of Climats de Bourgogne by UNESCO as part of the World Heritage.